Ford’s all-new Ford C-MAX is surpassing sales expectations recording more than 100,000 sales and orders since its launch late last year. 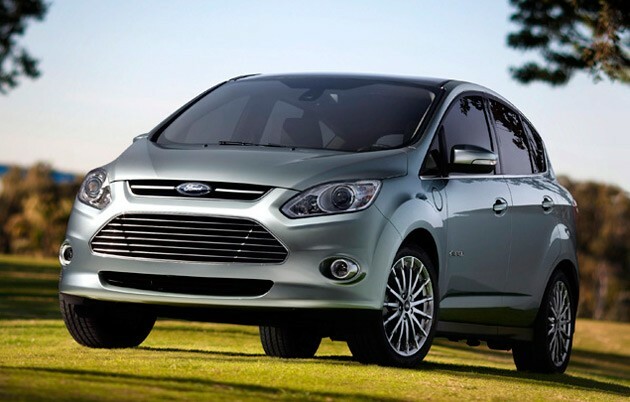 This year through May, sales of the Ford C-MAX have doubled over the same period a year ago. The first five months of the year also saw the fastest pace of C-MAX sales since 2006. To meet demand for the five-seat C-MAX and seven-seat Grand C-MAX, Ford has increased the line speed at its plant in Valencia, Spain. The result has been an almost 18 per cent increase in daily C-MAX production at the plant. A high percentage of customers are choosing well-equipped versions of the Ford C-MAX. In fact, 65 percent of Ford C-MAX sales have been high-series trim levels, such as the Ford C-MAX Titanium models, compared to 32 percent over the same period a year ago. The Ford C-MAX is the leader in is market segment in Italy (27 per cent share) and in Ireland (23 per cent share), and almost all of Ford's traditional 19 European markets have seen the Ford C-MAX double their segment sales share versus 2010. Ford market research shows that Ford C-MAX customers in Europe have said the vehicle’s design, technology and driving characteristics have attracted them to the vehicle. The Ford Grand C-MAX’s sliding rear doors also are proving to be a popular feature with customers.